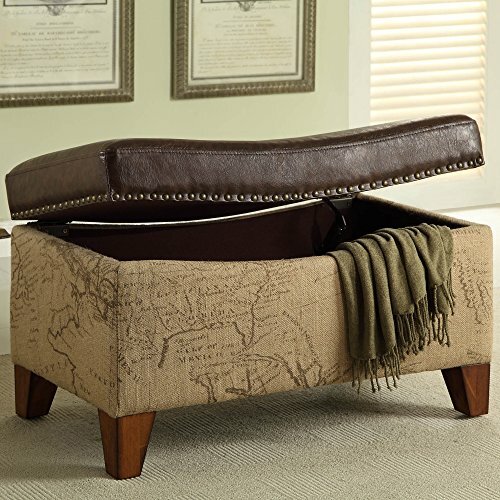 Rest a tray of cocktails or stow blankets and throws inside this stylish storage ottoman. Accented with antique nails and wrapped in a harmony of plush antique bonded leather and jute fabric for lasting appeal. Featuring Antique bronze accent nail heads. High Quality Construction. 1.8 density fire retardant foam.